You should talk, your pate with the lardon strips looks amazing! Ooh, your corned beef looks and sounds delicious! 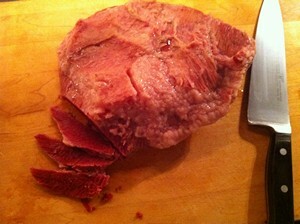 I’ve always liked corned beef, but nothing I’ve bought has come close to the home-made version. 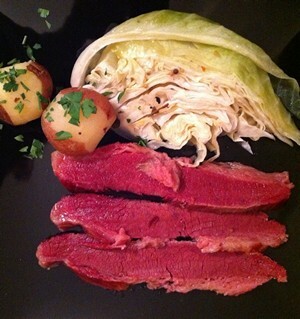 Thanks for the post, and thanks Scott for the tip about Montreal-style smoked beef. Yum! You had me at pot au feu. 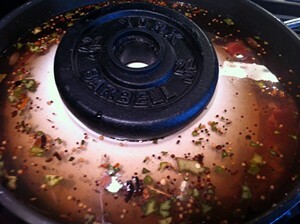 What a great inspiration for a new twist on corned beef. Fantastic article. If you are going to do smoked beef, can I put in a plea for Montreal style smoked beef? I think it’s better than Pastrami. Try anywhere in Montreal’s Jewish quarter, although my personal favorite is Schwarz’s.